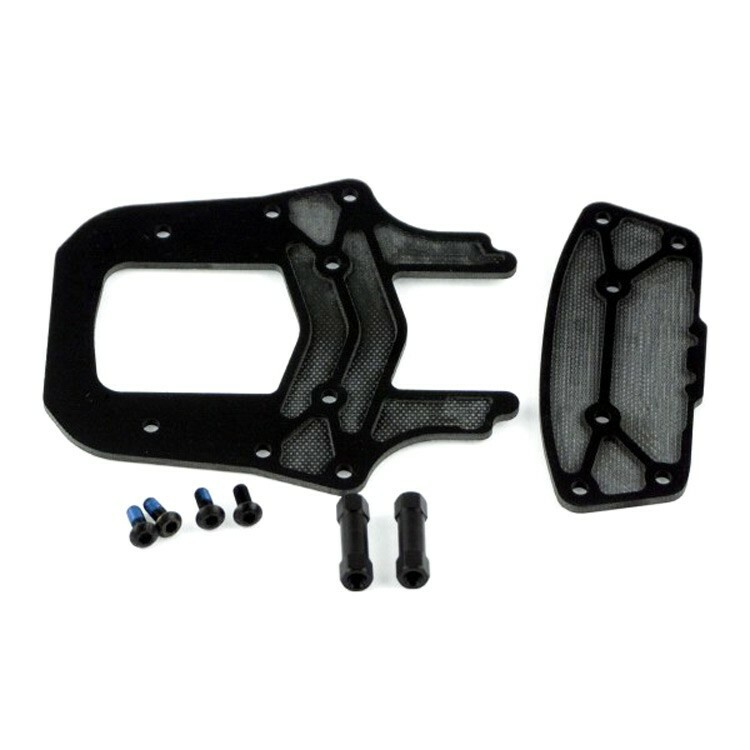 A bumper plate set for the Vortex 250 Pro. Includes one front 'nose' plate, and one rear protective plate, both in 2mm FR4. Also includes the two Aluminium spacers for the front plate, with required screws.